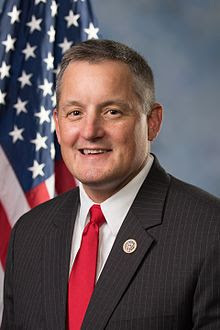 We are excited to announce that yesterday Congressman Bruce Westerman (R-AR) introduced a sentencing reform package aimed at protecting and advancing the human rights of children in the justice system. 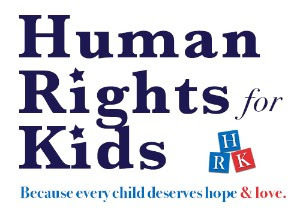 Human Rights for Kids worked closely with Congressman Westerman on the development of his new and innovative legislation, which we believe will be a game-changer in the way we treat the most vulnerable causalities of mass incarceration in America – our children. The HuffPost published an extensive piece on the introduction of Sara’s Law which featured Human Rights for Kids, which you can read and share with your networks HERE. The second bill, HR 1949, addresses the use of mandatory minimum sentences on all children in the justice system. Under this proposal, judges will consider how children are different from adult offenders prior to sentencing and will be allowed to depart up to 35 percent away from the otherwise applicable mandatory minimum sentence. This is another bill that Human Rights for Kids developed that had never been done before. And finally, the last bill, HR 1951, would eliminate life without parole sentences for children in the federal criminal justice system. This is a carry-over bill that our friends at the Campaign for the Fair Sentencing of Youth helped get introduced in the last Congress by Congressman Westerman. Please read and share the National Review’s profile piece of Congressman Westerman’s legislative package HERE. Yesterday was our first step toward changing the way the nation treats children in the federal criminal justice system. Last year, President Trump signed the First Step Act into law. We intend to make sure that the Second Step of Criminal Justice Reform focuses on the human rights of our nation’s children. Perhaps nothing in our lifetimes will be more important. One way for you to help make sure we succeed is for you to contact your member of Congress which you can look up HERE, and ask them to support all 3 of Congressman Westerman’s human rights bills and to sign-on as a co-sponsor. Thank you for your support and making this moment possible. We wouldn’t be here without you. Stay tuned for more updates on how you can help in our federal campaign to advance and protect the human rights of children in the justice system. Click HERE to see the local coverage in Arkansas that we are getting around this important legislative package.